A sustainable community energy system or energy centre is an integrated approach to supplying a local community or business with its energy requirements from renewable energy or high-efficiency co-generation energy sources. The approach can be seen as a development of the distributed generation concept. All of the above technologies are now available to use in an integrated system to supply localised green energy to both household and industrial users. In order to maximise energy conservation household and industrial units could adopt the use of ‘Smart Metering’. Smart meters provide a traffic light system for consumers to make a choice on whether or not to take advantage of the availability to cheap electricity as it becomes available throughout a 24 hour period and directly controls appliances to both reduce the load on the grid and take advantage of lower tariff electricity. 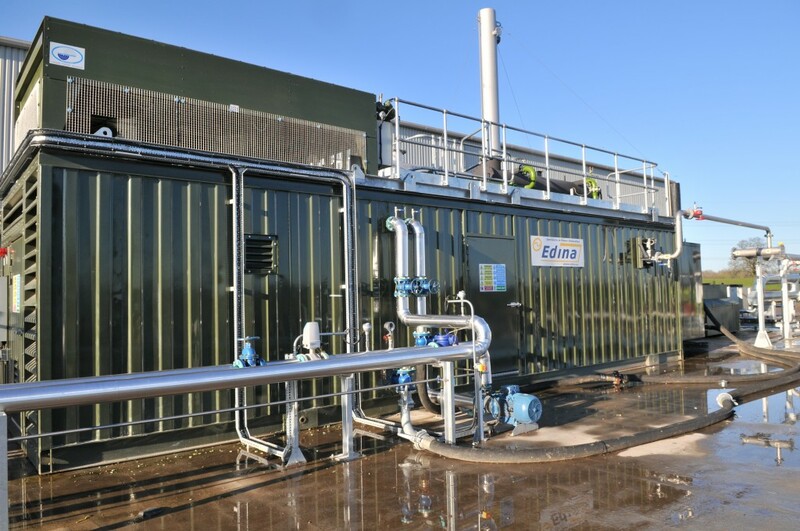 Biogas can be used to provide a range of localised energy through the generation of heat, power and biomethane from the anaerobic digestion of food waste, organic wastes and energy crops. Solar photovoltaics (PV) systems use energy from the sun to convert solar radiation into electricity, which can be used directly to run appliances and lighting, sold to the national grid or stored in batteries in off-grid locations. PV systems perform best in direct sunlight, but continue to perform well in reduced light conditions. Systems come in various forms including solar tiles, roof-integrated panels and on-roof panels. PV systems are also available for cladding buildings and covering walkways. Solar panels, also known as ‘collectors’ can be fitted onto or integrated into a building’s roof. They use the sun’s energy to heat water, or a heat-transfer fluid, which passes through the panel. The fluid is fed to a heat store (for example, a hot water tank) to provide part of the hot water demand for the building. Usually another heat source will be needed to supplement collectors in winter months. Solar panels can also be used to heat swimming pools. Hydro-power systems use a turbine to convert the energy stored in water flowing downhill into electricity. Useful power may be produced from even a small stream. The hydro-power source should be relatively close to where the power is needed or to a suitable grid connection. Hydro systems can be grid-connected or form part of an off-grid power system. In a grid-connected system, surplus electricity can be sold to electricity companies. In an off-grid system, electricity can be supplied directly to the devices powered or through a battery bank and inverter set up. A back-up power system may be needed to compensate for seasonal variations in water flow. Wood burning systems, unlike other renewable energy sources, emit carbon dioxide. However, as the wood fuel is cultivated, it absorbs the same amount of carbon dioxide as is released when burnt. As such, it does not add to the carbon dioxide in the atmosphere. Ground Source Heat pumps can be used efficiently for space and water heating. Heat pumps take heat energy from a source such as the ground, a body of water (e.g. river, lake or well) or simply the outside air and transfer it to the building. The heat is upgraded by using a pump and compressor which removes heat from one side of the circuit and ejects it to the other side. Wind turbines harnesses energy from the wind to produce electricity. The most common design is of three blades mounted on a horizontal axis, which is free to rotate into the wind on a tall tower or mast. The blades drive a generator either directly or via a gearbox (generally for larger machines) to produce electricity. Wind turbines can be mounted on masts that are freestanding or tethered with wires, or on buildings. The greatest amount of power will be generated if turbines have a constant supply of steady wind and advice should be taken on where to site the turbine to optimise output. The electricity can either link to the grid or, in the case of off-grid systems, charge batteries. Modern designs can be very quiet in operation. For over 30 years PM PROjEN has been involved in the design and build of a variety of complex process plants and the PM PROjEN Energy & Environmental team consists of a number of individuals who have been involved in some of the UK’s most iconic process plant installations. The team is headed by Energy & Environmental Divisional Manager Terence Brownhill and the technical team is headed by Dr Les Gornall and Dave Auty – probably two of the the best known and most respected members of the AD community. PM PROjEN’s reputation and presence has grown significantly as many realise that PM PROjEN’s design and build experience coupled with its expertise in health, safety and legislation matters make it an ideal partner for builders. Significantly the company is also technology agnostic – not tied to any particular technology or supplier to ensure the customer gets the best fit solution very time. We supply AD/Biogas, Biofuels and Biomass services and can offer a much more rounded service in the installation of energy centres.